With Magic Star, Anybody can Sing whether in their homes or out in the desert on a family picnic.Magic Star helps to improve your performances and progress can be tracked with Magic Star score displayed in your Karaoke. Learn to sing with the vocal assist function or aim to get 100 percent score. All available with Magic Star. A homegrown karaoke in Dubai with more the 20000 songs. Old tunes or new ones there is always available with the home karaoke. There is a variety of language palette to appeal to everyone. 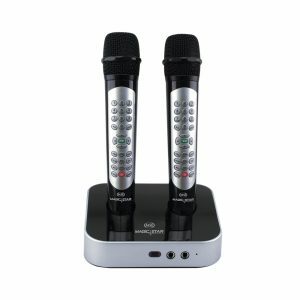 Buy Home Karaoke system to Sing, Practice, Compete, Perform, Bond and Enjoy. Magic Star and Magic Sing are the best online and offline Karaoke in Dubai, UAE. What to look for in Karaoke? Good Quality Sound, Multi Language Songs, Periodic Online Update, Simple way to connect ,Song Book, mobile remote app and large memory storage giving ultimate value for buyers. 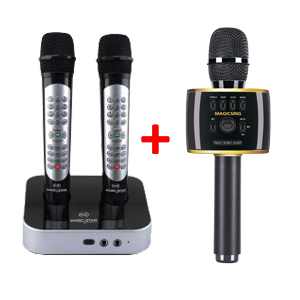 Premium Karaoke in Dubai, UAE features include fully functional remote controller, two (2) UHF wireless Karaoke microphone with advance controls and a mobile Karaoke remote control app for both iOS and Android smart phones. 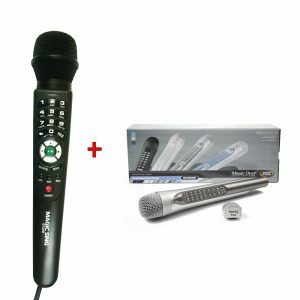 A wired Karaoke Microphone from Magic Star, MS805 comes with 32 GB micro SD Card loaded with latest English ,OPM, Indian and Arabic Songs. 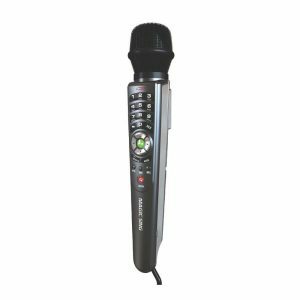 Independent control for Microphone, Echo, and Music volumes allow you to optimize the karaoke experience. 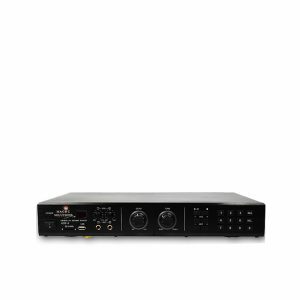 MS805 comes with a USB 2.0 port which gives sound clarity while recording the voice and plays multi-media movies and music playback through real time with an amazing sound . 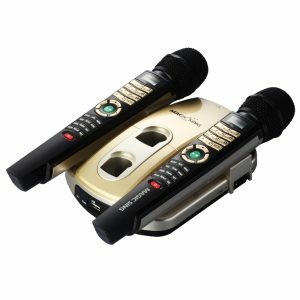 So if you really want to have fun that you’ve always dreamed off, Buy Home Karaoke system check out Magic Star Karaoke Products. Shop Now and add magic to your home.